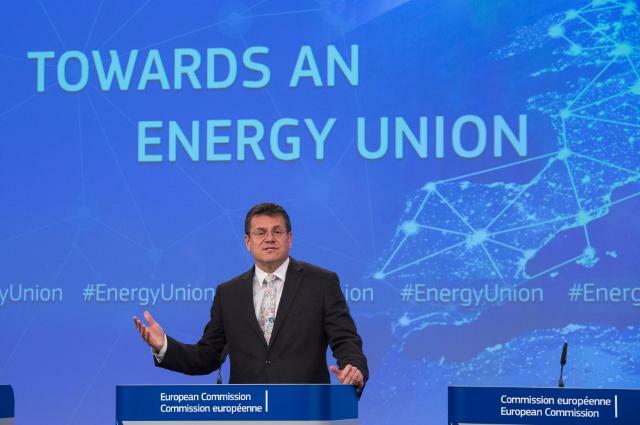 The European Commission released its Communication on the State of the Energy Union 2015 along with a number of reports, this week on 18 November 2015. Of particular interest to Bellona is the Commission’s report on the Geological Storage of CO2 which echoes key messages communicated in the recent “Executable Plan for CCS in Europe” prepared by the Zero Emissions Platform, of which Bellona is a leading member. The report calls for a CCS-enabling policy to be put in place and urges Member States to consider the technology in their long-term climate governance plans as well as to prioritise strategic CO2 transport and storage infrastructure and the creation of hubs. 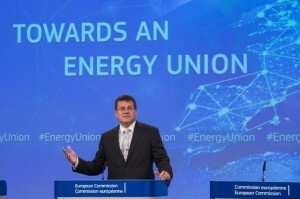 The State of the Energy Union 2015 Communication forms part of the Commission’s annual reporting to the European Parliament and Council and seeks to identify key issues and political challenges the Commission should focus on in the upcoming years while striving towards the implementation of the Energy Union. “While disappointed about CCS being omitted from the Communication, it is encouraging to see some strong wording on the need for enhanced action, in terms of inclusion of CCS in long-term national governance plans and emphasis on the creation of strategic CCS infrastructure and hubs,” Comments Jonas Helseth, Director at Bellona Europa. ”It is a positive surprise to see explicit mention of CCS in the national factsheets of Germany, Lithuania and the UK. This is a good step in the right direction. We now need to build on to this and aim towards ‘CCS as a necessity and norm’ across all EU Member States. Climate change is a trans-boundary challenge, and so is its solution” argues Helseth. The Commission notes in its Geological Storage of CO2 report that the Directive regulating it is fit for purpose in enabling the regulated permanent storage of CO2 in Europe. Bellona completely supports this. “Apart from helping to create harmonised procedures, there have been few if any concrete instances for the directive to meet the other objectives. As Europe deploys CCS projects, certain elaborations and additional standards may be desirable. However in the absence of policies to actively enable CCS deployment in Europe, efforts should first continue on getting CO2 capture and storage underway,” comments Keith Whiriskey, Climate Technologies Manager at Bellona Europa. The report also underlines the importance of ensuring targeted support for commercial-scale demonstration projects in both the power and industry sectors, including through the Innovation Fund, in order to gain experience and bring down the technology’s costs. CCS is crucial in deeply decarbonising European industrial and energy and sectors. The text also urges Member States to consider CCS as part of their long-term planning (in the form of 2050 national governance plans), to plan for adequate CO2 transport and storage infrastructure, and consider sharing infrastructure (via the creation of hubs) to reduce costs. Moreover, the report notes that advancing knowledge of CO2 storage capacity and mapping the location of key storage sites and clusters of CO2 sources would help with the planning of the future transport and storage network. These messages strongly resonate with a recently launched Executable Plan for CCS in Europe, authored by ZEP, on the request of the Commission’s Vice-President Maroš Šefčovič. With regards to transport sector decarbonisation the Energy Union Communication acknowledges that “effective enforcement of regulatory standards is a critical element in bringing down road transport emissions”. Bellona is, however, disappointed to see electro-mobility being omitted from the Commission’s Communication. While the Communication text acknowledges the existence of serious deficiencies in the current emission testing systems, the Commission has failed to take timely action to implement more a more stringent and independent testing regime. In fact, the Commission agreed to delay the introduction of a more stringent emission testing procedure for existing car types by one year, thereby allowing European cars to continue emitting on average four times the legal limit until 2019 instead of 2018. Read more on the Commission’s decision to delay emission testing rules here. A joint letter from the Platform for Electro-mobility, an alliance of organisations across industries, of which Bellona is a member, was sent to Vice-President Šefčovič and Commissioners Bulc and Arias Cañete in order to communicate key asks with regards to electro-mobility.